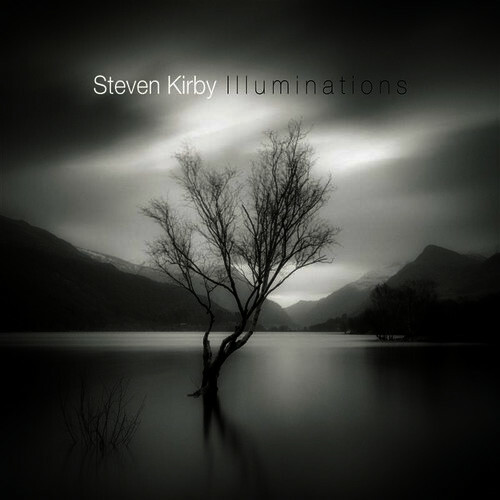 Steven Kirby, a guitarist of rippling technique and a poetic mind, has developed a modern jazz guitar style that bridges the angular lyricism of Pat Metheny and the painterly asceticism of Jim Hall. Illuminations, his third album as a leader, finds him in clear command of those two poles—at times oscillating between them, at others merging them—while also nodding to the idioms of classical and folk music. The resulting sound is dark-hued but also invigorating. 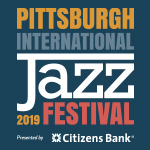 That’s due in part to the natural momentum of Kirby’s flight-prone single-note lines, a specialty that he accentuates nicely via the accompaniment of pianist John Funkauser, bassist Greg Loughman, drummer Mike Connor and especially vocalist Aubrey Johnson. 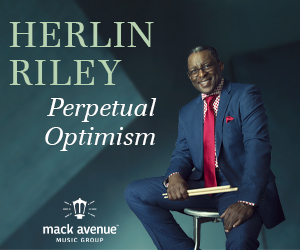 The singer (who, like Kirby, keeps a foot in both the Boston and New York jazz scenes) adds wordless vocals to a handful of deeply felt songs on this album, beginning with the opener, “Parabola,” which rings with sky-blue loveliness. Kirby’s tone here is round yet organic, a perfect match for Johnson’s silky pronouncements. (She retains gentle composure even on the title track, which finds her climbing to the limit of her range and navigating over hilly melodious terrain.) Playing acoustic, as on the ballads “Beautiful Rain” and “A Luz Das Estrelas,” Kirby crafts a careful equilibrium, imbuing each note with both the levity of feeling and the weight of purpose. But there’s also plenty of musical fun to be had. The guitarist’s cheekily titled “May The 4ths Be With You” makes a game of the titular harmonic interval, with a proggy melody that Kirby and saxophonist Bill Vint unspool with ease. But the most awe-inspiring arrangement on the album is Kirby’s version of “Over The Rainbow,” which revolves around churning pools of sound, its sense of time suspended, its energy unbound. Wild Man Conspiracy is an agile trio of musicians who are well known on the Dutch improv scene: Gerard Kleijn (trumpet, keyboards, laptop), Guillermo Celano (guitar) and Joost Kesselaar (drums). 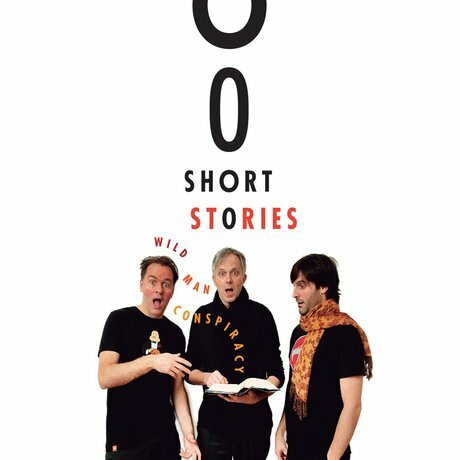 WMC’s sophomore album, Short Stories, includes five original compositions and three improvisations, and all the material reflects an artistic approach that emphasizes the importance of the collective over individual contributions. Kleijn’s trumpet work occasionally has a Miles Davis feel, but the band is clearly centered in the present, as evidenced by the use of digital effects on a song like “Drones,” which was inspired by the unmanned aircraft of that name, but which also has a bit of a musical drone, establishing a mood that’s unsettling yet intriguing. Celano’s “Gollem II” has an arrangement with lots of space between the individual instruments, allowing listeners to revel in details such as the gnarly distorted guitar and Kleijn’s clarion tone on trumpet. The band renders a gorgeous melody in its interpretation of the traditional tune “Lili Marleen,” and its version of The Beatles’ “And I Love Her” is a great example of crafting a rendition that judiciously incorporates significant elements of the original arrangement while simultaneously taking the listener somewhere completely new. 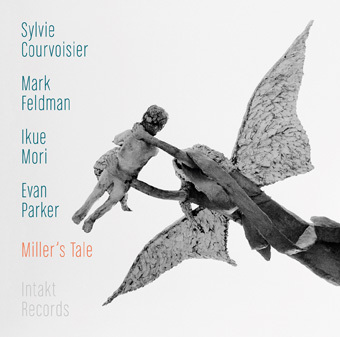 Miller’s Tale is an hour-long program of improvisations that equally spotlights each esteemed member of this quartet: Sylvie Courvoisier (piano), Mark Feldman (violin), Ikue Mori (electronics) and Evan Parker (soprano and tenor saxophones). 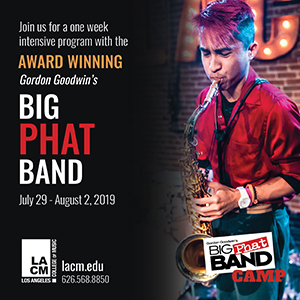 The album is filled with intriguing soundscapes, some built by the entire ensemble and others that reflect the intimate musical relationships the players have with one another. Each of the first four tracks is a lengthy free-for-all featuring the ensemble as a whole, generating moods that shift from the supremely ominous to disjointed havoc. The piano gallops subtly, the violin and saxophone shred like machines and the electronics provide texture in the form of little glitches and ornaments. On tracks 5–9, each improvisation features a different duo, with all combinations represented except piano and violin. This approach provides the listener with a rewarding opportunity to examine each player in multiple settings. The closing track, “A Fountain Pen,” is a duet performance by Courvoisier and Mori. 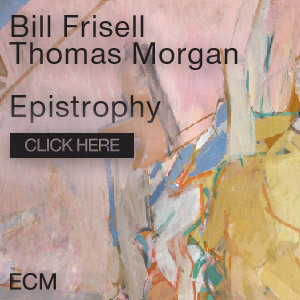 This piano-electronics improvisation brings the program to an enigmatic yet satisfying conclusion. With electronics that dance and swirl around propulsive piano lines, this track is the perfect palate cleanser while also maintaining the essence of the program—the intense exploration of sound and human interaction. 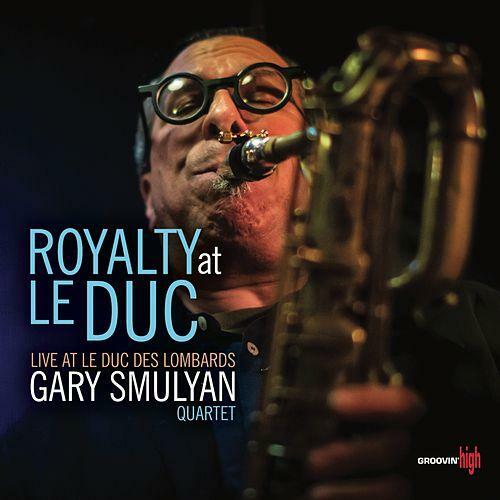 Recorded live at the Paris jazz club Le Duc des Lombards during baritone saxophonist Gary Smulyan’s fall 2015 European tour, this highly recommended album was originally released last year on the Groovin’ High label and is about to benefit from a new U.S. distribution deal with Sunnyside. 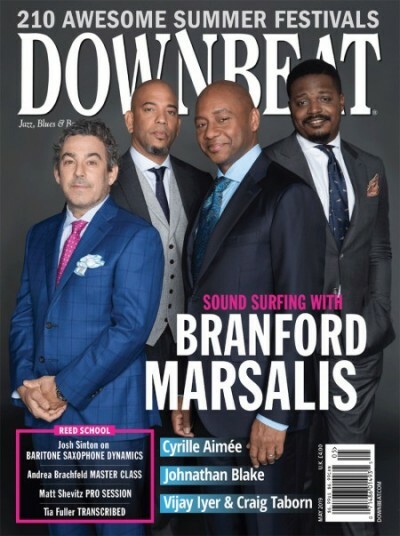 Smulyan, who topped the Baritone Saxophone category of the 2016 DownBeat Critics Poll, has done exemplary work anchoring the reed sections of some of the country’s top big bands. But here, fans can hear today’s top bari sax practitioner stretch way out on long, adventurous bebop solos and wail tenderly over slow progressions in quartet session that features the fine rhythm section of French pianist Olivier Hutman, Italian bassist Michel Rosciglione and Austrian drummer Bernd Reiter. From his first solo on the opener, Thad Jones’ “Thedia,” Smulyan gets right down to the business of demonstrating why he’s regarded as the beboppingest bari player to come along since Pepper Adams. He tears through the changes with urgency and glee, his voice robust and commanding throughout the nearly 13-minute romp. The quartet shifts gears dramatically on the following track, Billy Strayhorn’s ominously beautiful “The Star-Crossed Lovers.” Smulyan simultaneously channels his inner Johnny Hodges and Harry Carney as he scales the impassioned heights and plumbs the desperate depths of one of jazz’s most challenging, heart-wrenching ballads. The bebop spirit resumes with Adams’ “Cindy’s Tune,” which opens the door to strong, well-developed solo spots from Rosciglione and Hutman before Smulyan sets out on an extended ride on the big pipe and proceeds to engage in some playful trading with Reiter. A light swing feel emerges on Joe Henderson’s “Serenity,” drawing out Smulyan’s innate lyricism and showcasing the tasteful chops of Rosciglione, Human and Reiter. 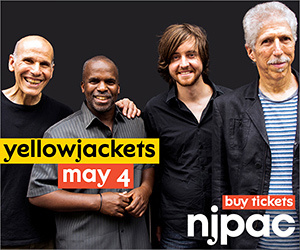 The quartet burns long and hard on Jones’ “Elusive,” reveals its romantic side on David Raskin and Johnny Mercer’s famous movie ballad “Laura,” and closes the program by applying a refreshing medium-tempo spin to the standard “Body And Soul.” The audio quality of this live session is outstanding, thanks to the work of Swiss producer Jacques Muyal. Royalty At Le Duc is a substantive and entertaining program, well deserving of the wider distribution it will enjoy in 2017. Drummer, educator and author Pete Magadini—famous for playing with Chet Baker, Mose Allison, Diana Ross, George Duke and John Handy—is a master of all things polyrhythmic. 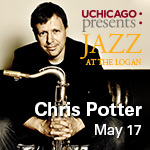 His expertise at subdividing the beat is borne out with exquisite taste and subtlety on Outside In The Present, where he leads a trio featuring guitarist Reg Schwager and drummer Ken Lister. 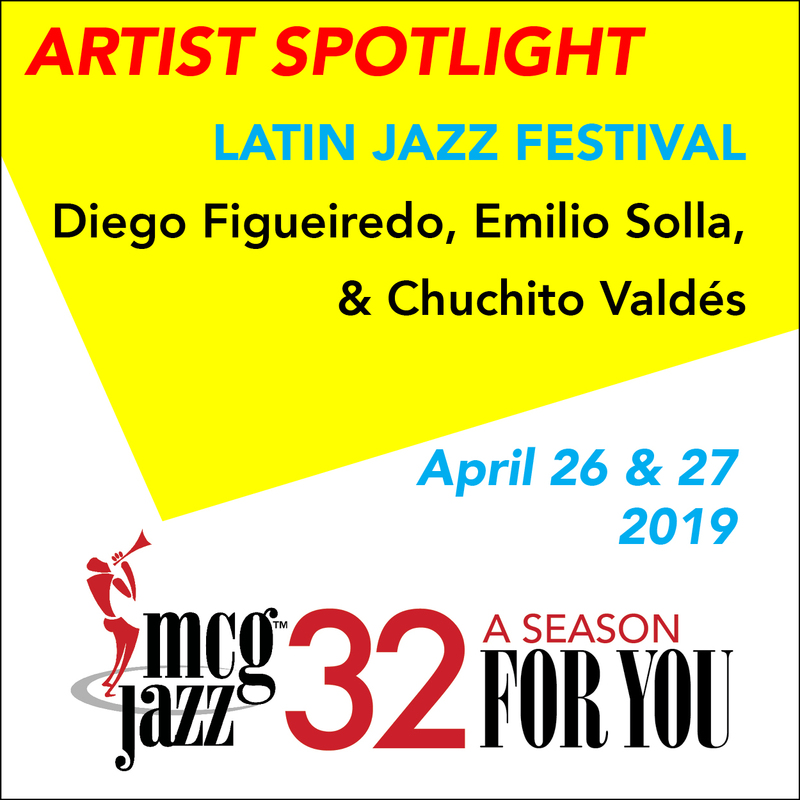 The music here is mostly straightahead, covering a range of jazz standards (including Bobby Timmons’ “Moanin’,” Clifford Brown’s “Daahoud,” Horace Silver’s “African Queen,” Cole Porter’s “All Of You” and Thelonious Monk’s “Evidence”), Steve Swallow’s stop-start composition “Name That Tune,” Brazilian Chico Buarque’s “Samba e Amor,” Brit Mike Westbrook’s “Waltz For Joanna” and an original each by Magadini and Schwager. While Schwager provides the lead melodic voice throughout the album, it’s clearly Magadini who’s driving each tune, taking quiet command over tempo, dynamics and feel. 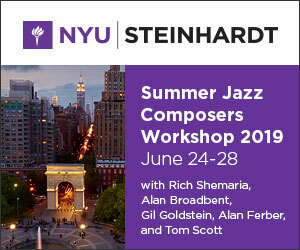 Each instrumentalist contributes a substantial amount of improvisation, stretching out thoughtfully on well-developed solos executed with unwavering technique and drawing from a vast body of collective knowledge. 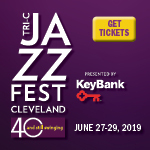 This is content-rich material that will feed the aficionado’s appetite for jazz substance without ever getting too heavy for the more casual listener to digest. 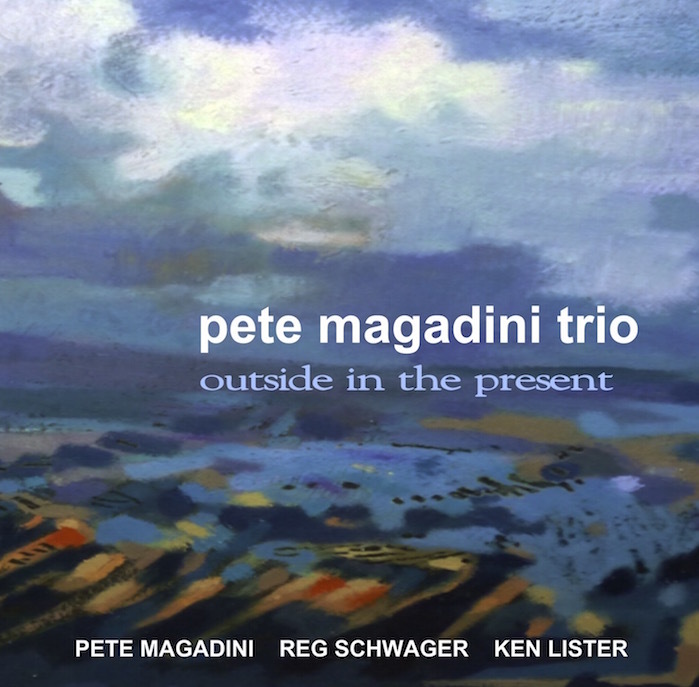 On Outside In The Present, Magadini strikes a delicate balance between serious artistic poise and ear-pleasing catchiness—a goal toward which many of today’s savvier artists perpetually strive. 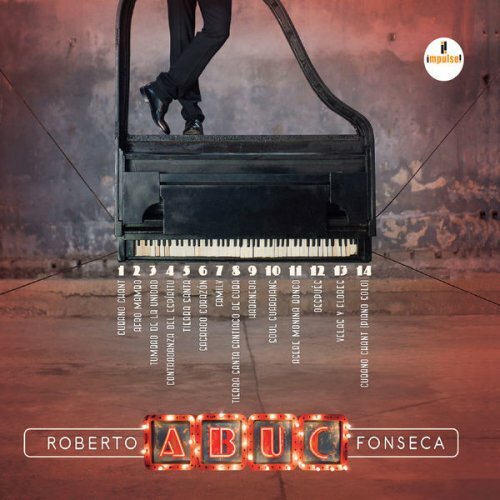 Cuban pianist and keyboardist Roberto Fonseca took the name of his native country and spelled it backwards for title of his eighth album, ABUC. On this outstanding disc (one of the best albums of 2016), he explores the music of Cuba’s past while also crafting an aural portrait that sounds very much like the present day. In this mesmerizing 53-minute program, the past and present are gleefully intertwined in music that will prompt listeners to hit the dance floor. Fonseca touches upon many styles, including contradanza, mambo, cha-cha-chá, danzon, bolero and descarga jam sessions. Fonseca turns to the past by opening the album with the infectious grooves of an 11-musician arrangement of Ray Bryant’s “Cubano Chant.” Fonseca closes the album with a lovely solo piano rendition of that tune. Between those bookends, he focuses on original material. Elements of yesterday and today merge in the infectious “Afro Mambo,” which incorporates a fragment of a 1940s/’50s-era mambo and an electronic beat. Similarly, old-school and 21st century elements are combined in “Tumbao De La Unidad,” which features Fonseca’s hero Eliades Ochoa (vocals and guitar) as well as sonic effects such as reverb and delay. On “Soul Guardians,” the hip-hop-influenced vocals by Alexey Rodríguez (of the band Obsesión) illustrate that when it comes to the music of Cuba, Fonseca is definitely looking forward. Overall, this superb album showcases Fonseca as an ambitious master of sonic dynamics. 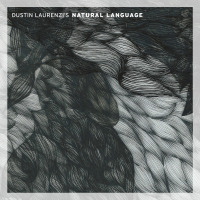 Saxophonist Dustin Laurenzi’s new album, the debut of his project Natural Language, is a compelling portrait of an agile quartet. Laurenzi’s compositional voice—which also lends a nostalgic sound to the Chicago-based trio Twin Talk—is at the heart of this all-original program. With tunes that are brooding, celebratory and earnest, one gets the sense that Laurenzi values atmosphere and feeling over individual sounds. 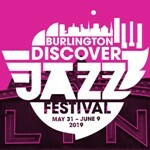 (It’s an aesthetic that has fueled Laurenzi’s collaborations with other artists who make highly personal music, such as Bon Iver and Jeff Parker.) Despite his role as the frontman, Laurenzi’s tone is usually understated, not occupying a spot in the foreground. This works well, as he delicately dances in the busy ambience the other three players provide. Laurenzi’s and guitarist Jeff Swanson’s roles perpetually shift; each one is adept at stepping forward with melodic improvisations or stepping back to add sonic textures. Drummer Charles Rumback, who makes great use of brushes, often rustles underneath, not just keeping time but also providing compelling timbres. Bassist Mike Harmon serves as the active anchor for the quartet. While Laurenzi and Swanson whirl above, Harmon croons busily below, injecting additional excitement to the proceedings. 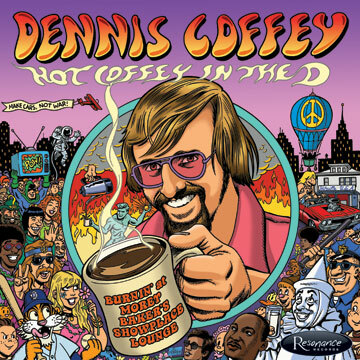 One spin of this album provides ample evidence that its title is appropriate: These four musicians speak to each other with an eloquence and natural grace that draw the listener in.